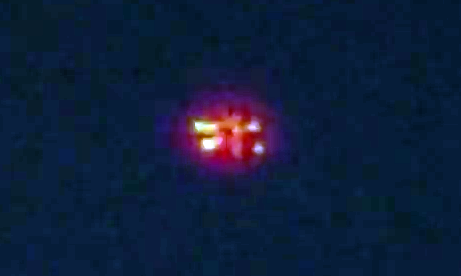 UFO SIGHTINGS DAILY: UFO Over Mexico On Nov 1, 2015, Video, UFO Sighting News. 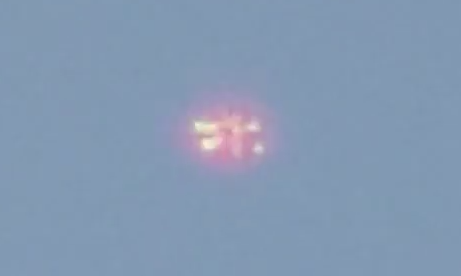 UFO Over Mexico On Nov 1, 2015, Video, UFO Sighting News. This odd shaped UFO was seen yesterday in Mexico and has a flower shape to it. It was seen during the day, but has a pink mist around it. At the end of the video he got nervous and lost it, because when zoomed on a far away object, its extremely difficult to hold your hands still for more than a few seconds. This group of objects was seen in Tlaquepaque Jalisco on Sunday 01/11/2015 around 11:00 am.